Nestled discreetly along a beautifully manicured pathway on the grounds of the stunning Forbes Travel Guide Four-Star St. Regis Punta Mita Resort, surrounded by lush foliage and walls that effectively block out the outside world, Remède Spa offers a 10,000-square-foot oasis of luxurious calm and relaxation. Facials, massages and body therapies are offered within the spa’s 10 treatment rooms, which include specially designated suites for couples. A fitness facility and salon are also available, the latter featuring outdoor nail lounges. 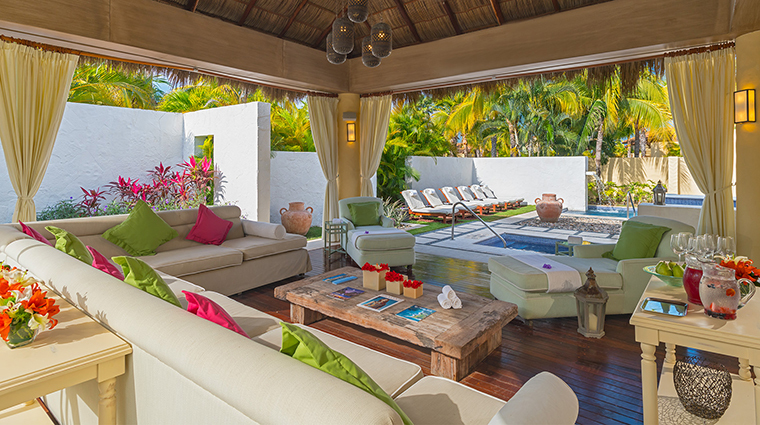 Central to the spa is a relaxation deck kitted out with comfy sectionals, lounge chairs, snacks and magazines. Just beyond the deck, there’s a private cold plunge pool and Jacuzzi, along with sauna, steam room and outdoor showers. Linger here before or after your service to further heighten your bliss. 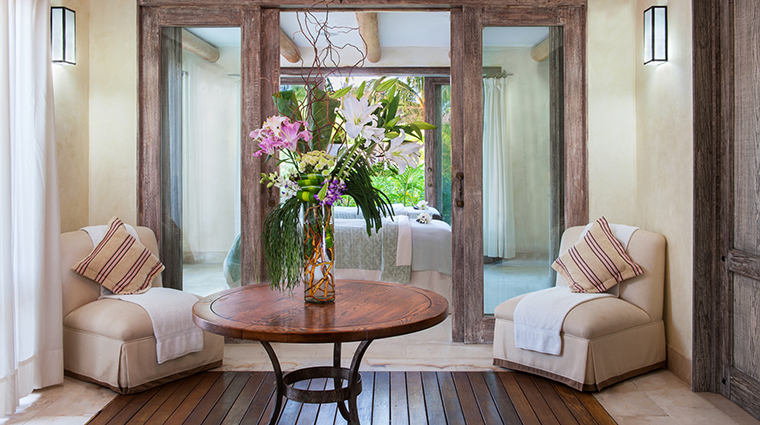 The minute you enter the Punta Mita spa, cream-colored tones and natural wood elements evoke a feeling of Zen. The private his/hers locker facilities are spacious and stocked with a full com-plement of Remède-branded amenities, including shampoo, conditioner and mouthwash. The staff members are gracious, impeccably mannered and customer-focused. They are able to anticipate your needs or do their utmost to accommodate any reasonable request. Remède offers a spa concierge service that can also arrange treatments in the privacy of your own room. The spa packages —ranging from three to six hours, including a spa lunch— are an excellent value, and suggested for optimal pampering. It’s definitely worthwhile to arrive at least 45 minutes before your treatment starts, so that you can enjoy the facilities. You’ll receive a robe and slippers, and you can either unwind in the relaxation area with a magazine or make use of the wonderful water circuit. 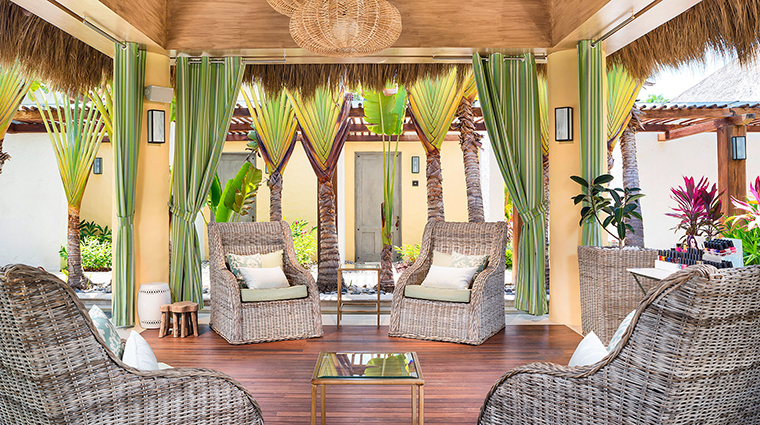 Weather permitting, request your treatment with the doors open so you can enjoy the natural breeze coming in from the ocean. It should be noted that while Remède does offer a full water circuit, there is no swimming pool within the spa itself. For swimming, the resort offers three on-property swimming pools and a private beach outside of the spa. The spa’s specialty is customization. Therefore, if you want a more targeted approach to your treatment, book a Remède customized facial, massage or body service, then discuss your wants and needs with your therapist or techni-cian to see what’s right for you. 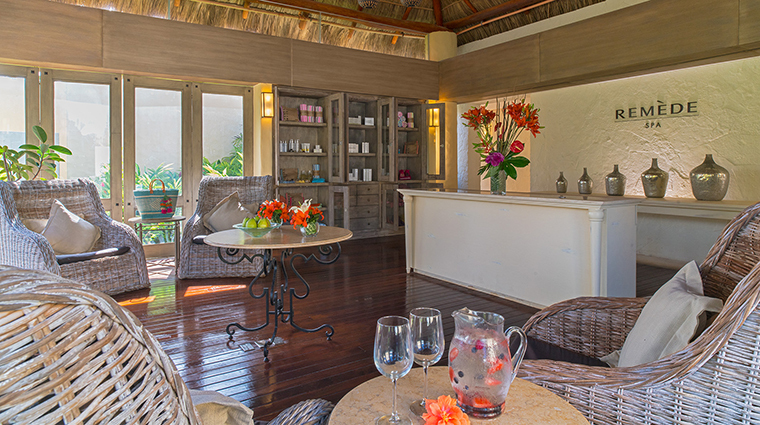 Punta Mita Selections are locally inspired spa services featuring techniques and ingredients native to the area. 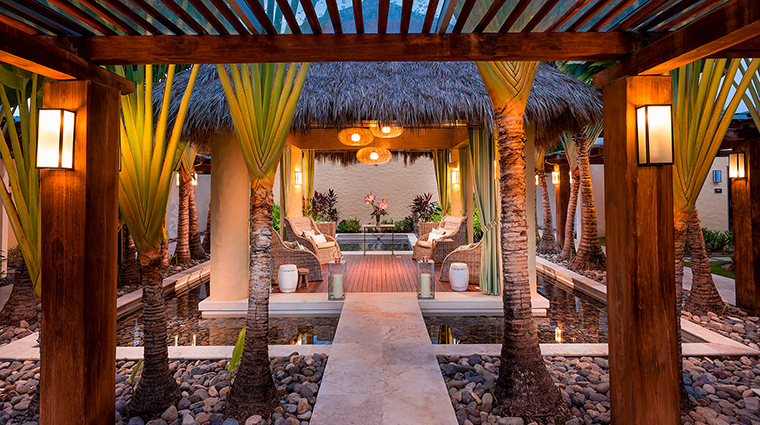 These 90-minute treatments include the Punta Mita Perfection, the Puebla Hot Stone massage and the Ocean Pearl Body Ex-perience that uses crushed pearls to exfoliate the skin. Couples treatments are very much in demand at this spa, which oozes ro-mance. Options include personalized facials, massages, body wraps, baths and couples packages, performed in tandem side by side. For a full day at the spa, book the Remède Spa Sanctuary Package, a six-hour indulgence that includes a customized facial, massage, body wrap, mani, pedi and lunch. Other popular spa packages include The Pampered Mother Package (a Remède custom facial followed by a mani and pedi) and The Gentleman’s Deluxe Pack-age (featuring a Remède Custom Body Polish, massage, mani, pedi and a light lunch). Mirroring the décor within the public spaces of the spa, the treatment rooms fea-ture off-white and cream colors with exposed natural wood beams that are organic to the surroundings, yet immediately soothing. The couples rooms are separated by sliding glass doors framed by wispy cream-hued curtains. The drapes undulate gently in the breeze. The most luxurious of the rooms is the Deluxe Spa Suite, which features a couple’s treatment area (set up for side-by-side treatments) and its own private Jacuzzi.